Anyone living in Florence has heard horror stories from the major flood that occurred on one dreary November day, the fourth, to be exact, when the Arno river flooded its banks, engulfing the city in horrific filth, including rubble, mud and even heating oil that took years to clean up. This was the worst flood in Florence in over three centuries. As someone who lives in the center of town, all I have to do is look up to see one of the many marble markers placed around town to show just how high the water reached. It’s a memory that would shake up anyone, and is almost impossible to imagine. I’ve spoken with a lot of people who lived through this trying time in Florence in hopes of discovering what they most remembered—from fashion legend Susan Nevelson who watched her car floating away to 85-year-old shop owner Mario, whose small store (now closed and replaced with a fashion brand boutique after first opening in 1910) was destroyed by the rushing deluge. What happened after the flood is also worth thinking about. While I took part in a Florence tour with local guide, Alexandra Lawrence, she said something that particularly struck me: “the solidarity and actions of the Florentines and all those who came to help Florence in the days, weeks and months following, are a moving testimony to the love that the world has for this city, its history, its artistic patrimony—and for its future.” I couldn’t have said it better myself. Many people who heard about the flood have a far-reaching question: what about Florence’s art? As the city’s major museums and churches were defaced by as much as 20 feet’s-worth of sewage-like liquid, 14,000 paintings, frescos and sculptures were damaged, many irreparably. As the tireless Mayor Bargellini worked to find lodgings for the thousands of students (later known as ‘mud angels’) who came to lend a hand in cleaning up the muck, art historian Carlo Ludovico Ragghianti had plans of his own. He wanted to create an international fund for Florence and invite Italian and international artists to donate contemporary art to ‘substitute’ the newly lost masterworks. He called the plan ‘Artists for Florence’ and its intent was to create an ‘Uffizi of Modern Art’ that would secure the city’s continued role as a center of the arts for the entire world. 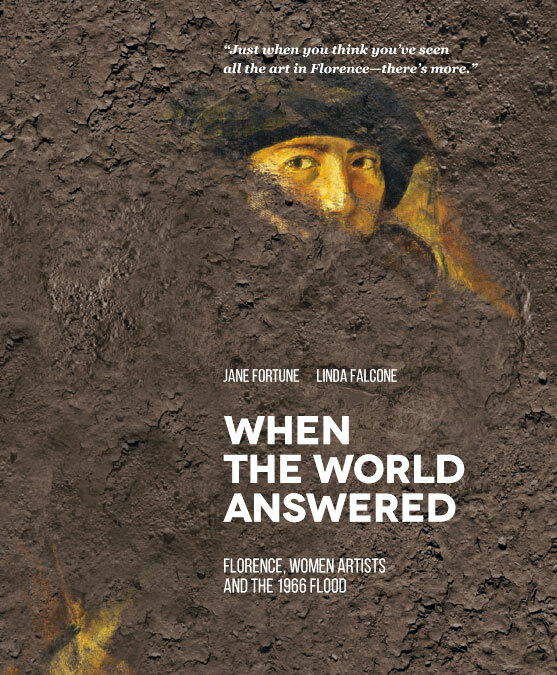 When the World Answered: Florence, Women Artists and the 1966 Flood is a book that spotlights the women artists from around the globe who gifted their works—from Antonietta Raphael Mafai, the Lithuanian co-founder of the Scuola di Via Cavour, to US figurative artist Sarai Sherman and Italian pop artist Titina Maselli. Through personal interviews with living artists or their friends and colleagues, authors Jane Fortune and Linda Falcone, respectively founder of the Advancing Women Artists Foundation, and its director in Italy, piece together a varied mosaic of twentieth-century art in Italy from a woman’s perspective. From Abstract master Carla Accardi who's career began at the Osteria Menghi, a Roman tavern that accepted drawings sketched on placemats in exchange for dinner, to experimental Jewish painter Paola Levi Montalcini, who spent time in hiding in Florence during the second World War—many of their stories have never been told before. The book also explores the restoration of several of their works, five of which are now on show at Florence’s new Twentieth-century Museum in piazza Santa Maria Novella. It bears witness to the Advancing Women Artists Foundation’s continued quest to rescue and exhibit works of art in Florence’s museums and storages, a process that began with the publication of Fortune’s 2010 book Invisible Women: Forgotten Artists of Florence, which served as the driving force behind the Emmy-winning PBS documentary by the same name in 2013. 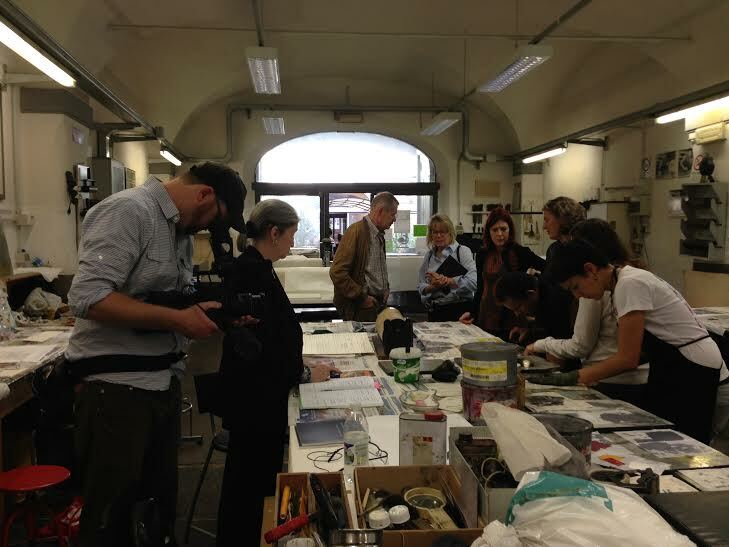 For video footage on the book’s presentation in Florence, click here. Purchase the book here. Visit AWA at their website and keep in touch with latest updates and events via their facebook page.